Looking to revamp your dining room's décor? 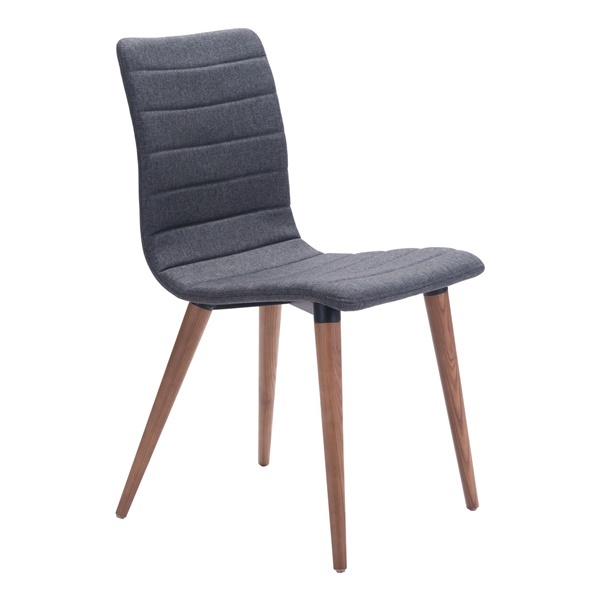 Start small with an innovative chair – the Jericho Dining Chair from Zuo Modern. This awe-inspiring chair is available in numerous stunning colors, making it easy to find a piece that complements your dining room's décor beautifully. Plus, the chair boasts a deluxe mid-century modern design and poly-linen fabric construction that ensures long-lasting quality. Take another step toward improving your dining room's décor with a first-rate dining chair – the Jericho Dining Chair. Strong, sturdy wood legs in a walnut finish offer maximum support. Slim seat and back design enables you to sit comfortably at all times. Mid-century modern style makes the chair a superb choice in both modern and retro settings. Polyblend cover helps the chair maintain its sleek, sophisticated appearance.